Whenever things get rough in the cryptocurrency world, XRP tends to thrive. This is a very interesting turn of events, especially because this digital asset has gained a lot of value just last week. This week is shaping up to yield similar results, as a new 15% uptrend has materialized over the past few hours. The past week has been very interesting for the XRP market. After a week of solid gains, it seems this week will yield very similar results moving forward. 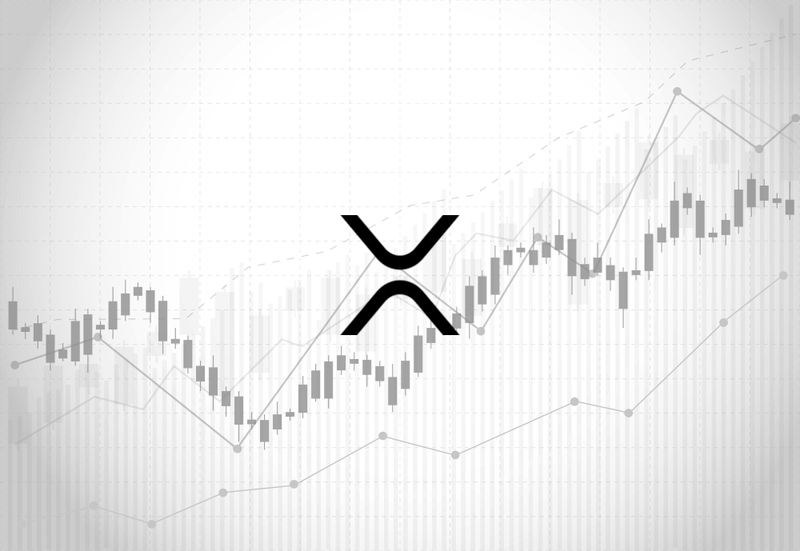 Another strong uptrend has formed over the past 24 hours, pushing the XRP price up by another 15% in the process. This latest push also negates most of the losses sustained over the past weekend and yesterday morning. As is always the case, the current XRP price rise comes in the form of a strong gain over Bitcoin. Even though Bitcoin is also recovering some recent losses, XRP has gained nearly 5% on the world’s leading cryptocurrency in the process. Although these steep gains will most likely be met with another small decline in the near future, the overall bull trend seems to be in full effect once more. In the cryptocurrency world, XRP price trends are usually driven by the community first and foremost. Coinbase’s recent policy change pertaining to adding new tokens and coins has many people thinking the exchange will introduce XRP trading before the year is over. So far, Coinbase officials have neither confirmed nor denied that approach, although it is evident the lack of clarification regarding XRP being a security can be a roadblock. In more tangible news, it would appear SBI is forging ahead with its plans to introduce XRP functionality. More specifically, SBI Holdings has registered with the Kantou Bureau of Japan’s Ministry of Finance. Their goal is to handle electronic payments, which will seemingly be conducted by using Ripple’s native technology. It is still unclear if this includes the effective use of XRP as well, but there is a good chance that asset will play a role in these proceedings moving forward. Last but not least, everyone loves some good XRP price predictions using technical analysis. CryptoLauren sees the future of XRP as both interesting and challenging. Key resistance will appear near the $0.55 mark, which is still out of reach at the time of writing. Even so, it will be interesting to see if the cryptocurrency can surpass this level with ease, or whether it will lead to a big correction yet again. With the upcoming commercialized launch of xRapid, no one can deny Ripple is scoring a lot of successes. However, Ripple and XRP are two completely different things, which is something a lot of enthusiasts tend to overlook in this day and age. The success of Ripple does not necessarily hinge on XRP, albeit it is in their best interest to ensure the asset gains mass adoption at some point. Disclaimer: The above is for entertainment and education purposes only. This article is not trading or investment advice. Always do your own independent research before purchasing any cryptocurrency.